My skin looks and feels grainy and bumpy. Like sandpaper. 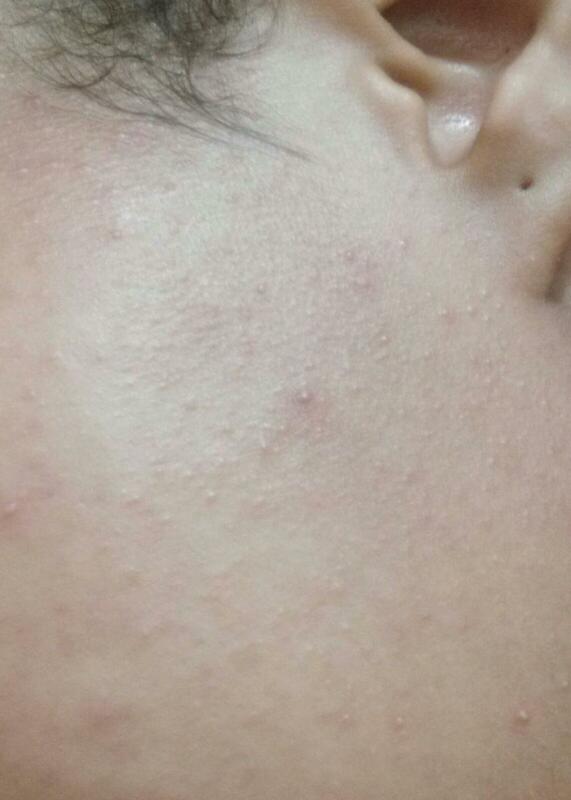 So, i've been dealing with acne for over a year now. It used to be mild, and my worst problem was pigmentation. But a few month ago i started using honey and now i barely get pimples. Now i only deal with a few whiteheads and pigmentation. But, 2 month ago my skin started to look and feel grainy, like sandpaper. 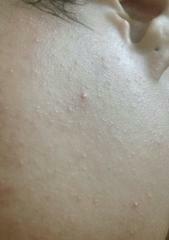 It's full of tiny little bumps and they look worse when i'm out in the sun or with strong lights. Also i'm getting red very easily, and get hives everytime i scratch any part of my body. I really don't know what to do. Been looking for treatments and i can't find anything that works. Gonna leave a few pictures. PS: Sorry if my grammar is bad, my native language is spanish.